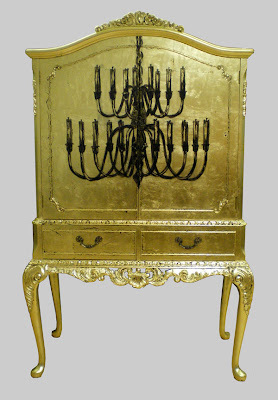 You have a teenage son and a Louis XV walnut armoire? Yes, it’s a match made in heaven. 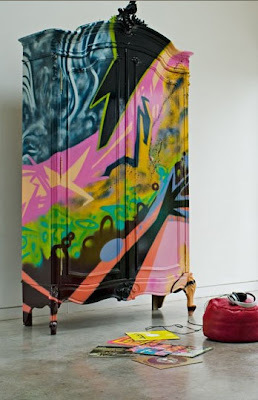 Give him a can of spraypaint and carte blanche, and see if he can match this feat by Burke and Hazledon. Jimmy Martin managed to wreak a pretty fabulous update to this old-style cocktail cabinet, I reckon. 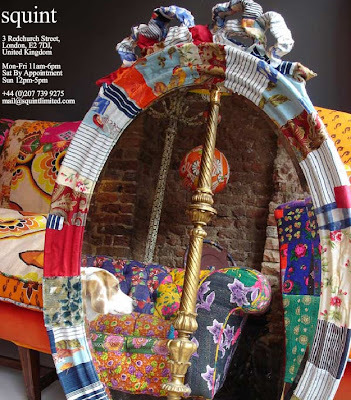 I mean, who actually wants a grotty old gilt frame when Squint Limited can come up with something like this? 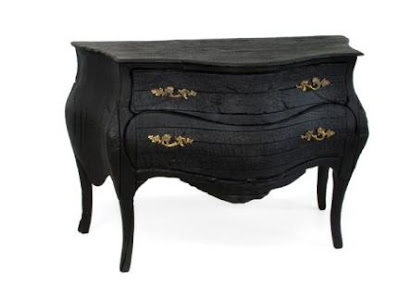 Nobody at Elle Deco will take responsibility if you decide to stick Ouma’s sideboard on a pyre, but if you want to make like Maarten Baas did in his Smoke collection for Moooi, just make sure you’re not wearing nylon or false eyelashes at the time!